This Riviera Nayarit Travel Guide is intended for travel agents and other travel professionals. Thank you for your continuous support and your passion for promoting the Riviera Nayarit. Located on the Pacific Coast of Mexico, Riviera Nayarit is a breathtaking travel destination. The mandate of the Riviera Nayarit Conventions and Visitors Bureau (CVB) is to help you, as travel industry experts, develop a greater understanding of what makes Riviera Nayarit a unique and magical vacation paradise. Our entire Riviera Nayarit CVB website and this Riviera Nayarit Travel Guide, both offer exhaustive information about hotels, activities, and Riviera Nayarit as a travel destination. You will find sales tools plus all you need to know to sell Riviera Nayarit to your clients. While we are confident that Riviera Nayarit is an easy sell, we thank you for your valued support. Please do not hesitate in contacting us for any requests or questions you may have about our Riviera Nayarit Travel Guide. 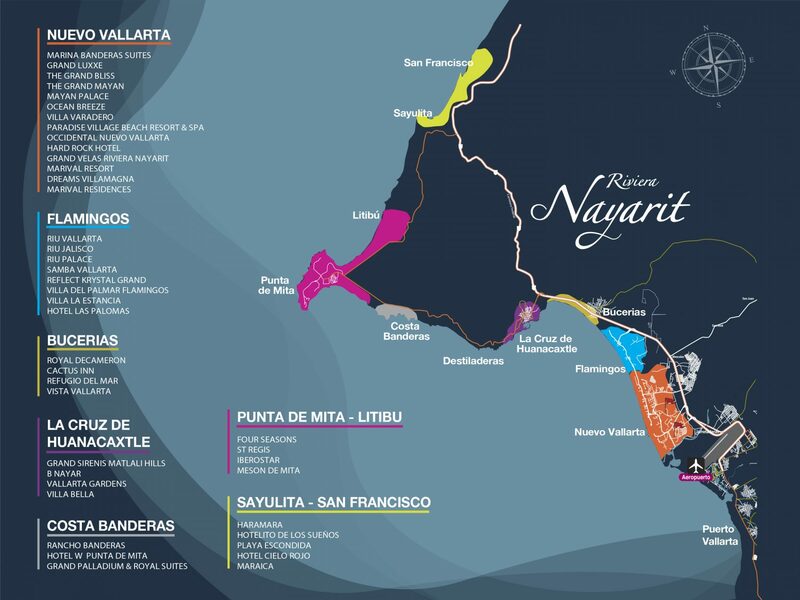 Riviera Nayarit Conventions and Visitors Bureau. The Riviera Nayarit Tourism Board will provide you with the following sales tools to help you promote the Riviera Nayarit as a vacation destination. Welcome to Riviera Nayarit’s Travel Professionals Section. Here you can find Nayarit vacation destination information, group bookings RFP, sales materials, sample itineraries, certifications, and much more. If you have any questions or need assistance, Riviera Nayarit’s Sales team is ready to help you with your request. Subscribe to our weekly Riviera Nayarit newsletter and you will receive in your email the most important news and current events of Riviera Nayarit, Mexico!